SQL Compare is the preferred tool for comparing and deploying SQL Server database schemas. Used by 71% of the Fortune 100, SQL Compare is fast and easy to use. 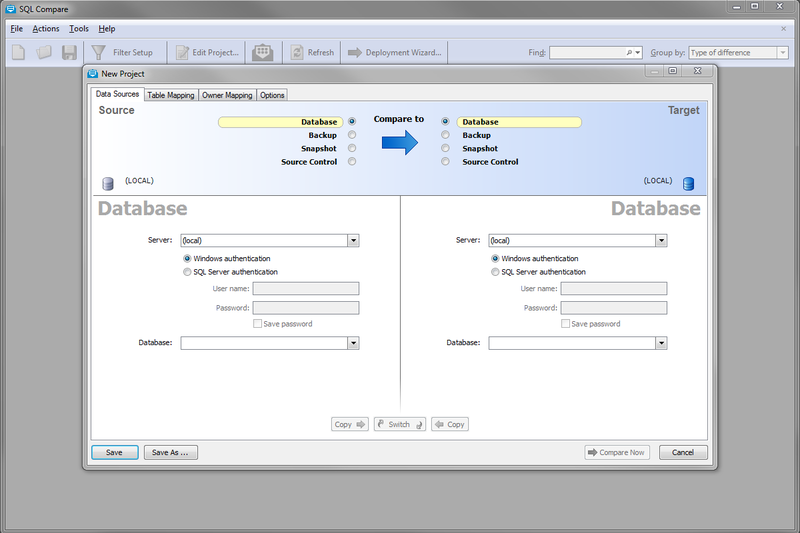 You can work with live databases, database snapshots, SQL scripts in source control, or backups. SQL Compare helps you compare and deploy changes quickly, simply and with zero errors.